Today I thought we would look at how to draw the mouth and lips. The mouth is not difficult to draw once you understand its structural elements. 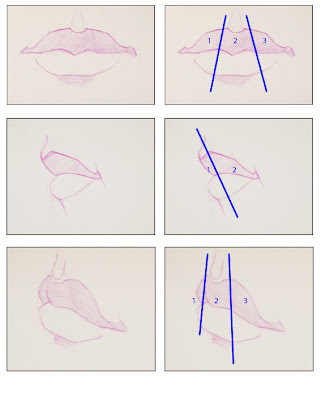 First, we will learn a simple technique for drawing the mouth and lips. 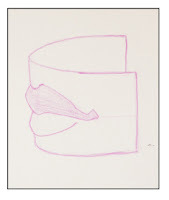 Then, we will look at a the basic structure of the mouth to see how it fits on the face. Below is a chart demonstrating a simple step by step process of drawing lips that I learned awhile back. 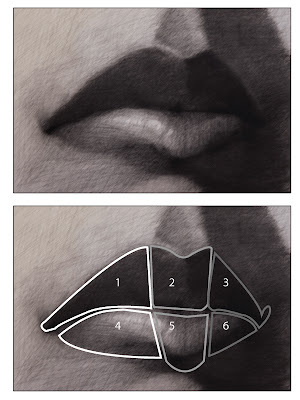 It is a great shortcut for drawing lips and as you can see we start out with some very basic shapes. 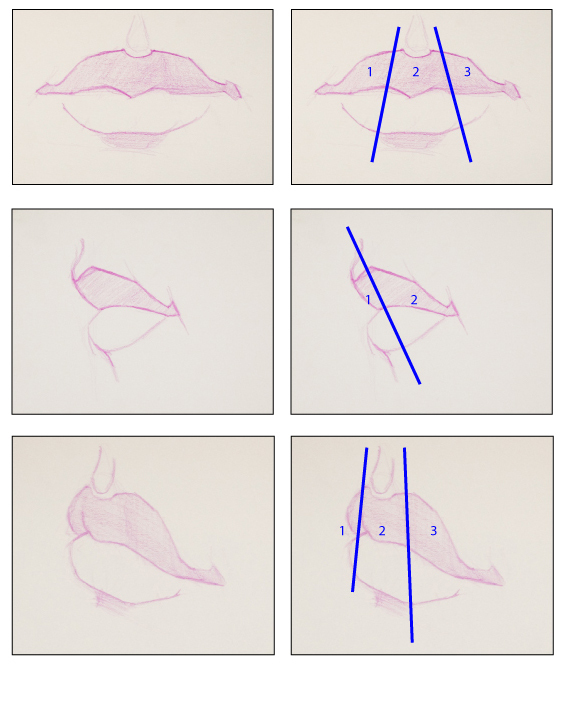 Steps to a simple method of drawing the mouth and lips. 1. 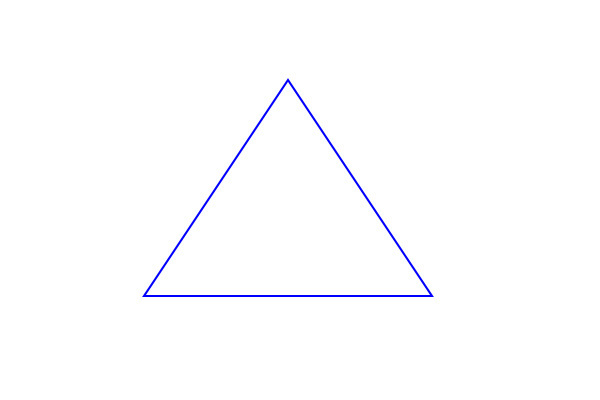 Draw an equilateral triangle. 2. 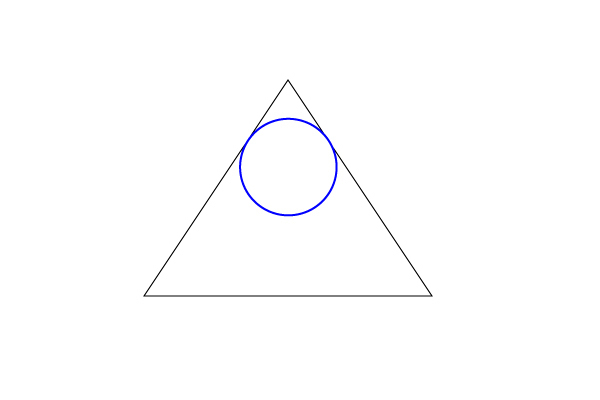 Draw a circle filling the top part of that triangle. 3. 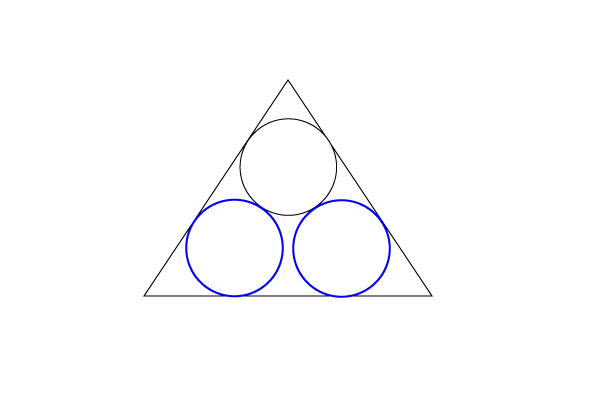 Draw two circles below the first circle, filling the bottom part of the triangle. These shapes will guide us in shaping the lips and set up the front plane of the mouth. 4. Draw the center line of the mouth. 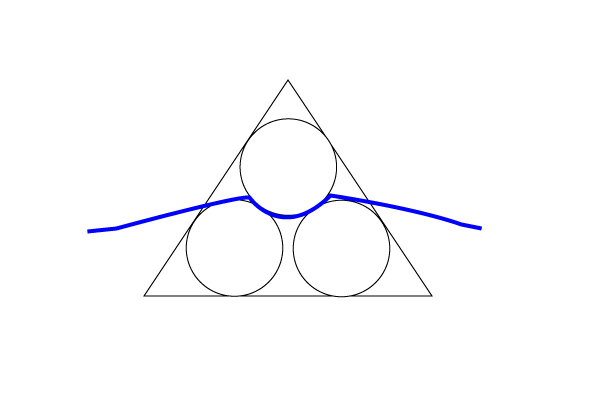 Use the shape of the circles to guide the shape of that line. 5. 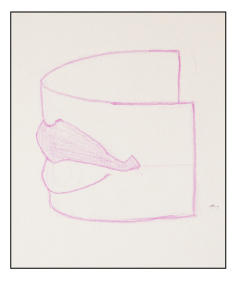 Draw the upper line of the upper lip. Cut out where the divot of the cupids bow where it dips down on the lip. Use the area where the top circle meets the triangle to find size and placement of the dip in the upper lip. 6. Draw the bottom line of the lower lip. 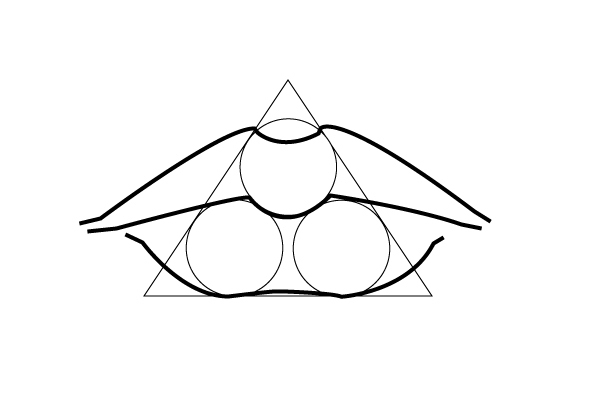 Again, use the shape of the circles to guide the shape of your line. 7.You have completed a basic mouth drawing. The lips are not flat. That is, they do not rest on a flat surface. 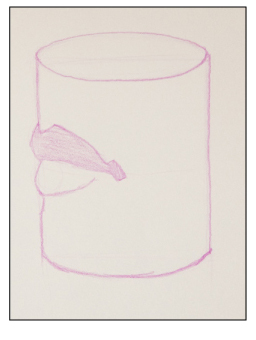 Looking at how the mouth sits on the surface of the face in its most basic form, you will see that it rests on the wall of a cylinder or the mouth wraps around the face as if it wraps around a cylinder. 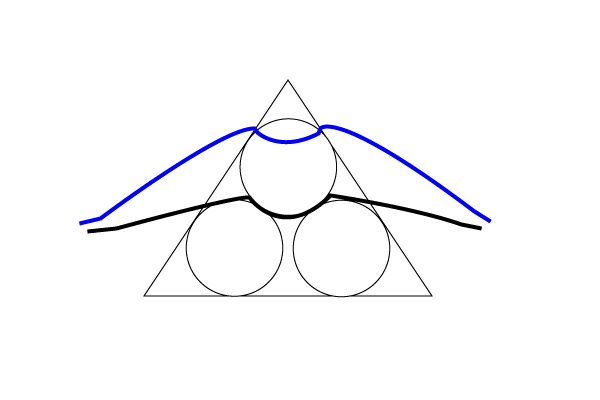 However, the shape of the face is more complex than a cylinder. The lips of the mouth actually wrap around the teeth. The teeth are lined up in a U or horseshoe shape. The muscles that move the mouth are attached to the mandible and various parts of the skull. The shape of the teeth and how the muscles attach to the head give the mouth its shape. As the mouth rounds back around the teeth, you can see it breaks into three basic vertical planes, a front plane and two side planes. Below is a chart demonstrating these planes from a few different views. Each lip can be considered a plane as well. This divides the mouth into two horizontal planes.The upper lip is a downward facing plane and the lower lip is a upper facing plane. Combining the horizontal and vertical plane changes gives you six surfaces that suggest the major plane changes of the mouth. After finding the major plane changes of the lips and mouth, all you need to do is refine its structure using the planes that we established as a guide. The mouth is not difficult to draw if you focus on the shapes and structure of the features. 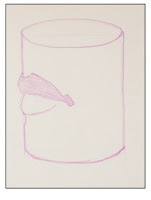 Avoid drawing just the outline of the lips as that will flatten the look of the mouth. To find where to place the mouth on the face click here.